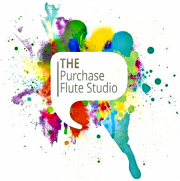 Connor Lane is currently pursuing his graduate degree in Flute Performance at the SUNY Purchase Conservatory of Music. He received his Bachelor of Music degree from Bowling Green State University. While at BGSU, Connor performed with the BGSU Wind Symphony, New Music Ensemble, Philharmonia, Afro Caribbean Ensemble, and St. John XXIII. Before this, he toured for two summers with the International Youth Symphony Orchestra performing in four different countries. Connor was selected to attend the Texas Summer Flute Symposium, Cape Cod Flute Institute, and the Sewannee Summer Music Festival where he performed for and studied with Patricia George, Carol Wincenc, Amy Porter, Susan Hoeppner, Terri Sundberg, Bonita Boyd, Marco Granados, Sarah Jackson, Demarre McGill, Jeff Zook, and David Buck. Additionally, Connor is an avid performer, teacher, pit player, and chamber musician. He has placed 2nd in the Douglas Wayland Chamber Music Contest, been a part of two world premiers including a chamber work and a ballet, and worked as a Woodwind Staff Member at Sycamore High School in Cincinnatti, OH.